If you want to improve your employee onboarding program in 2017, there’s no time to waste in getting started. While you might not overhaul your entire process at one time, it’s a good idea to map out the major areas that need to be addressed. Here are five suggestions for ways you can get easy wins with maximum ROI as an employer. The first step in making onboarding pain free is to move to a virtual system. When forms are automated in an online program, new hires can be prompted through the process so they make fewer mistakes. HR won’t have to chase down missing signatures or go through each form with every employee to explain what goes in each field. When the forms are electronically routed to the appropriate departments from IT to Payroll, getting new employees set up without rekeying data is also simplified. Improve your employee onboarding program in 2017 and start claiming tax credits that your organization has missed out on in the past. 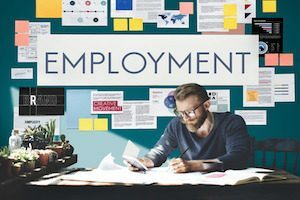 Work Opportunity Tax Credits (WOTC) exist for a reason—to encourage employers to give disadvantaged job candidates a chance. When you incorporate WOTC forms into the onboarding process, you can identify qualifying individuals and file the documentation to claim the tax credits your business deserves. Once this process is part of the normal workflow, it’s a very low cost way to reap thousands of dollars a year in credits. When you integrate an Applicant Tracking System (ATS) with Onboarding, new hires can quickly and easily complete their forms on the first day. All duplicate information is automatically populated into the new hire forms, saving time and reducing the risk of errors. Failure to correctly complete I-9 Forms in a timely manner and securely store them for the required retention period is a common reason for businesses to be penalized in audits. However, compliance has never been easier. An online system for onboarding that enforces correct completion of forms on an employee’s first day of work and then routes the forms through the review process and into the E-Verify system goes a long way to reducing the risk of penalties. The Affordable Care Act has created a whole slew of new responsibilities for employers. For businesses that aren’t required to offer a medical benefits plan, simply adding a notification form to the onboarding documents may be sufficient. But organizations that do have a health insurance offering will have additional notification, eligibility and participation tracking, and reporting duties. Automating this process removes a great deal of the burden from HR and will improve your employee onboarding in 2017. A solution that includes expense simulation, analysis, and optimization can drive even more cost savings. For even more ways to improve your employee onboarding program in 2017, contact our team today. What Are the Key Changes in the New I-9 Form for 2017? Do You Know the List of States That Require E-Verify?